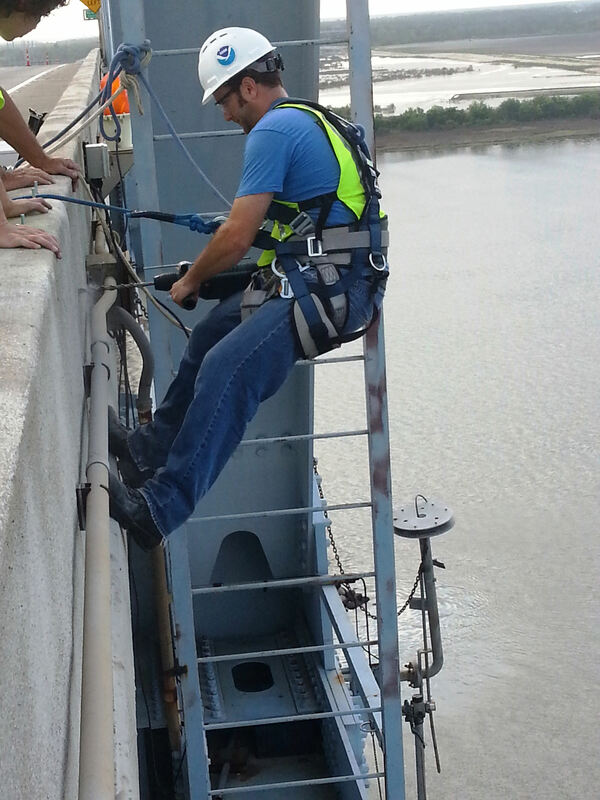 Center for Operational Oceanographic Products and Services staff installs an air gap sensor on the Don Holt Bridge in Charleston, South Carolina. The sensor is part of the Charleston Harbor Physical Oceanographic Real-Time System, or PORTS®. Information from the sensor is critical for under bridge clearance, as ships continue to maximize channel depths and widths while, at the same time, push the bounds of bridge heights.